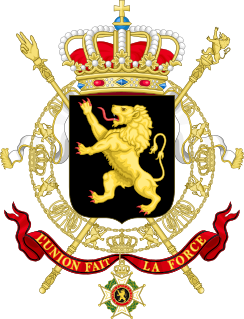 The Benelux Union (Dutch: Benelux Unie; French: Union Benelux; Luxembourgish: Benelux-Unioun) is a politico-economic union of three neighbouring states in western Europe: Belgium, Netherlands and Luxembourg. The name Benelux is formed from joining the first two or three letters of each country's name – Belgium, Netherlands, Luxembourg – and was first used to name the customs agreement that initiated the union (signed in 1944). It is now used more generally to refer to the geographic, economic and cultural grouping of the three countries. In 1951, West Germany, France, and Italy joined these countries to form the European Coal and Steel Community, a predecessor of the European Economic Community (EEC) and today's European Union (EU). The main institutions of the Union are the Committee of Ministers, the Council of the Union, the General Secretariat, the Interparliamentary Consultative Council and the Benelux Court of Justice while the Benelux Office for Intellectual Property cover the same territory but are not part of the Benelux Union. The Benelux General Secretariat is located in Brussels. It is the central administrative pillar of the Benelux Union. It handles the secretariat of the Committee of Ministers, the Council of Economic Union and the various committees and working parties. A Benelux Parliament (originally referred to as an "Interparliamentary Consultative Council") was created in 1955. This parliamentary assembly is composed of 21 members of the Dutch parliament, 21 members of the Belgian national and regional parliaments, and 7 members of the Luxembourg parliament. In 1944, exiled representatives of the three countries signed the London Customs Convention, the treaty that established the Benelux Customs Union. Ratified in 1947, the treaty was in force from 1948 until it was superseded by the Benelux Economic Union. The treaty establishing the Benelux Economic Union (Benelux Economische Unie/Union Économique Benelux) was signed on 3 February 1958 in The Hague and came into force on 1 November 1960 to promote the free movement of workers, capital, services, and goods in the region. Under the Treaty the Union implies the co-operation of economic, financial and social policies. 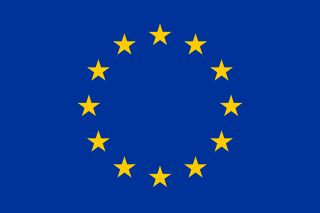 In 2017 the members of the Benelux, the Baltic Assembly, and three members of the Nordic Council (Sweden, Denmark and Finland), all EU-member states, sought intensifying cooperation in the Digital Single Market, as well as discussing social matters, the Economic and Monetary Union of the European Union, the European migrant crisis and defence cooperation. Relations with Russia, Turkey and the United Kingdom was also on the agenda. 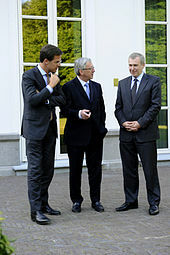 The Benelux Union involves an intergovernmental co-operation. The unification of the law of the three Benelux countries is mainly achieved by regulations of its Committee of Ministers, that only bind the three states, but are not directly applicable in their internal legal orders. [clarification needed] They only become legally valid after having been incorporated into national law, with the exception of Belgium. The Belgian Court of Cassation decided in 1971 that any self-executing treaties have priority over laws by the Belgian parliament. The Union Treaty is not exhaustive. For this reason, Article 19 of the Treaty provides that the Committee of Ministers may conclude additional conventions. These therefore constitute extensions of the Union Treaty. They are submitted to the national parliaments for approval in keeping with the ratification procedure applied in each of the Member States. Thus there are a large number of Benelux conventions in a wide range of subject matters. In 1965, the treaty establishing a Benelux Court of Justice was signed. It entered into force in 1974. The Court, composed of judges from the highest courts of the three States, has to guarantee the uniform interpretation of common legal rules. This international judicial institution is located in Brussels. The Benelux is particularly active in the field of intellectual property. The three countries established a Benelux Trademarks Office and a Benelux Designs Office, both situated in The Hague. In 2005, they concluded a treaty establishing a Benelux Organisation for Intellectual Property which replaced both offices upon its entry into force on 1 September 2006. This Organisation is the official body for the registration of trademarks and designs in the Benelux. In addition, it offers the possibility to formally record the existence of ideas, concepts, designs, prototypes and the like. Belgium, the Netherlands and Luxembourg form the Benelux. The new treaty has no set time limit and the name of the Benelux Economic Union changed to Benelux Union to reflect the broad scope on the union. The main objectives of the treaty are the continuation and enlargement of the cooperation between the three member states within a larger European context. The renewed treaty explicitly foresees the possibility that the Benelux countries will cooperate with other European member States or with regional cooperation structures. The new Benelux cooperation focuses on three main topics: internal market and economic union, sustainability, justice and internal affairs. The number of structures in the renewed Treaty has been reduced and thus simplified. Five Benelux institutions remain: the Benelux Committee of Ministers, the Benelux Council, the Benelux Parliament, the Benelux Court of Justice, the Benelux Secretariat General. Beside these five institutions, the Benelux Organisation for Intellectual Property is also present in this Treaty. ^ In the Caribbean parts of the Netherlands, namely Saba, Sint Eustatius and Bonaire. ^ "Over de Benelux" (in Dutch). Benelux. Retrieved 9 February 2015. Dit alles onder een nieuwe naam: de Benelux Unie. ^ "A propos du Benelux" (in French). Benelux. Retrieved 9 February 2015. Le 17 juin 2008, un nouveau Traité Benelux était signé. Désormais, la coopération va se concentrer sur trois thèmes-clés: le marché intérieur & l’union économique, le développement durable et la justice & les affaires intérieures et tout ceci sous un nouveau nom:l’Union Benelux. ^ "De Benelux" (in Luxembourgish). Government of Luxembourg. Retrieved 21 October 2018. D’Benelux-Unioun besteet aus dem Kinnekräich Belsch, dem hollännesche Kinnekräich an dem Groussherzogtum Lëtzebuerg. ^ "Benelux Treaty of Economic Union - Belgium-Luxembourg-Netherlands ". ^ Revue de l'Institut International de Statistique (1947) Vol. 15, No. 1/4, page 43. However, according to The Economist, it was coined in August 1946 by that newspaper's correspondent in Belgium ( "Going Dutch". The Economist. 3 May 2008. Retrieved 6 September 2012. ). ^ ERR (22 June 2017). "Ratas meets with Benelux, Nordic, Baltic leaders in the Hague". ^ "Cass. 27 mei 1971, Franco-Suisse Le Ski". Pasicrisie. I: 886. 1971. ^ "Algemene voorstelling van het Benelux-Gerechtshof". Benelux-Gerechtshof. Retrieved 10 May 2016. ^ a b c d e f g h i j "Europe :: Belgium". CIA The World Factbook. ^ a b c d e f g h "Europe :: Netherlands". CIA The World Factbook. ^ a b c d e f g h i j "Europe :: Luxembourg". CIA The World Factbook. ^ "Language selection - Statbel" (PDF). www.statbel.fgov.be. ^ "Urbanaudit.org". Archived from the original on 9 January 2006. ^ Eurobarometer 393: Discrimination in the EU in 2012 (pdf). European Commission. pp. 233–234. Retrieved 29 December 2015. ^ a b c d e f g Some data refers to IMF staff estimates but some are actual figures for the year 2015, made in April 2016. World Economic Outlook Database-April 2016, International Monetary Fund. Accessed on 12 April 2016. ^ a b c d e f g Data refer mostly to the year 2014. (selecting all countries, GDP per capita (current US$), World Bank. Accessed on 9 July 2015. ^ a b c d e f g National Accounts Main Aggregates Database, December 2014, (Select all countries, "GDP, Per Capita GDP - US Dollars", and 2014 to generate table), United Nations Statistics Division. Accessed on 4 Jan 2016. ^ a b c d e f g "Report for Selected Country Groups and Subjects (PPP valuation of country GDP)". IMF. Retrieved 13 June 2016. ^ a b c d e f g Data (2 July 2015). ""Gross domestic product 2014, PPP", World Bank, accessed on 2 July 2015" (PDF). Data.worldbank.org. Retrieved 2 July 2015. ; European Union calculated by sum of individual countries. ^ a b c d e f g "The World Factbook — Central Intelligence Agency". ^ a b c d e f World Economic Outlook Database, April 2016, International Monetary Fund. Database updated on 12 April 2016. Accessed on 14 April 2016. ^ a b c d e f "GDP per capita, PPP (current international $)", World Development Indicators database, World Bank. Database updated on 11 April 2016. Accessed on 14 April 2016. ^ a b c d e f GDP - per capita (PPP), The World Factbook, Central Intelligence Agency. Accessed on 7 March 2014. ^ a b c "COUNTRY COMPARISON :: LABOR FORCE". cia.gov. Archived from the original on 30 May 2016. Retrieved 4 August 2014. ^ a b c d e f g h i j k l m n o "Central America and Caribbean :: Aruba". CIA The World Factbook. ^ a b c d e f g h i j k l m "Central America and Caribbean :: Curacao". CIA The World Factbook. ^ a b c d e f g h i j k l m n "Central America and Caribbean :: Sint Maarten". CIA The World Factbook. Kersten, A.E. (1982). Maken drie kleinen een grote? De politieke invloed van de Benelux, 1945-1955. Bussum: Van Holkema & Warendorf. OCLC 63269615. Wikimedia Commons has media related to Benelux. Wikivoyage has a travel guide for Benelux. The Benelux Interparliamentary Consultative Council is one of the institutions of the Benelux economic union. The Parliament was established by an agreement signed by Belgium, the Netherlands and Luxembourg on 5 November 1955, which means it had already existed for three years when the Benelux Union was signed on 3 February 1958. The Benelux Parliament provides the governments with advice on economic and cross-frontier cooperation. Its recommendations may also concern other matters if common interests or current events so dictate. The parliament also keeps the three governments informed about the opinions that move in the parliamentary assemblies from which its members originate.